This course has been awarded with the Award for Open Education Excellence in 2013. 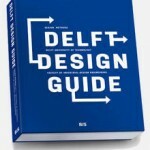 The content of this site is based on the 2013 book version of the Delft Design Guide. This is an improved version of the former online version. In the book version, the Delft Design Guide is restructured for better reading, has updated content and improved visualizations. Parts of the book content are published online. You can order the 2nd print 2014 version of the Delft Design Guide at BIS Publisher or via book stores. At IDE you can also buy the book in the faculty book shop Waltmann. Delft Design Guide by TU Delft OpenCourseWare is licensed under a Creative Commons Attribution-NonCommercial-ShareAlike 4.0 International License. Based on a work at https://ocw.tudelft.nl/courses/delft-design-guide/.